Man then is trapped in his own blindness, in the circle of this own humanity. Apart from God’s mercy, men cannot even “turn for [God] to heal them.” This is why when a man does turn to God, this revolution, or reversal, always has the aspect of a miracle; it is a revolution which occurs in spite of man’s own best efforts rather than because of them. Art has a way of getting around man’s intellectual and emotional prejudices. This is because art always speaks indirectly–whether in being the vehicle for delivering a new answer, or in causing a new kind of question to be asked that must be asked before any new answer can make sense. Art can also aid in penetrating man’s emotional prejudices by showing him who he really is; by acuratly reflecting his own pretentions, foibles, and anxieties; by setting up before him a mirror where he may see his own inmost part. 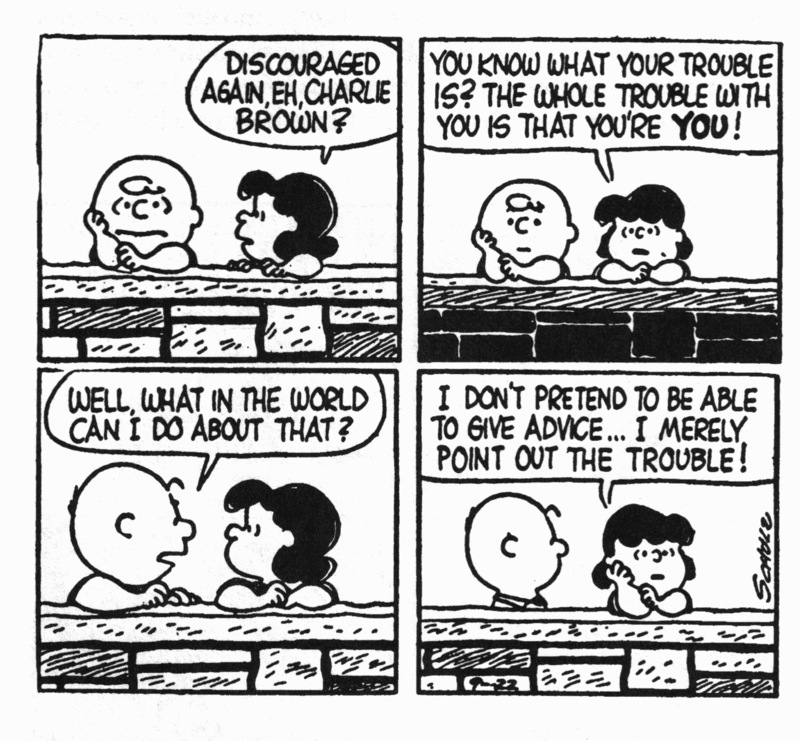 Our approach to Peanuts, then, will not be one of “reading into” but of “reading out of”; our concern will not be so much in trying to say what Mr. Schulz has actually put into his cartoons, as in saying what has come out of his cartoons to us. Confession, or witness, is the basis of a Christian interpretation of art as it is the basis of a Christian interpretation of anything. It just may be, however, if an interpretation should seem to account coherently for all or most of the puzzle’s pieces, that the interpreter’s intuition has coincided with the artist’s vision. But still there is no way of knowing for sure. 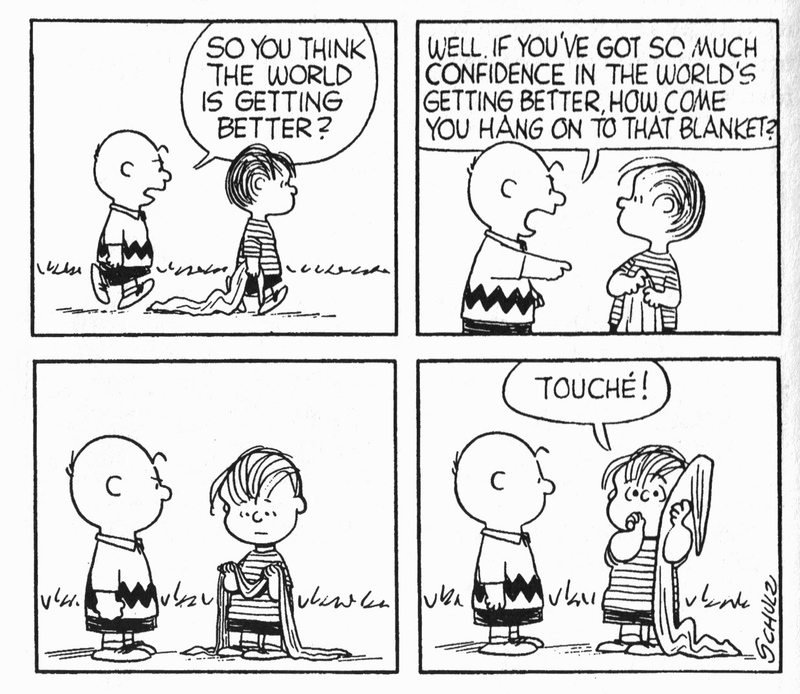 I am a Peanuts-freak. I was admired Mr. Schulz for its work looong time ago and so my parents. (I’m only 23). In January – this year, I was at Barnes and Nobles Christian section looking for John Piper’s book and next to it I found this exactly book. Oh man, how happy I was! I have almost underlined everything, for it is so good. The way Short puts it is so fantastic and gospel-centered. Having so many philosofers, artists, writers to give support to what has been defended is so well developed and detailed. I can only confirm your opinion about it. 🙂 It is wonderful! Thanks for posting!! 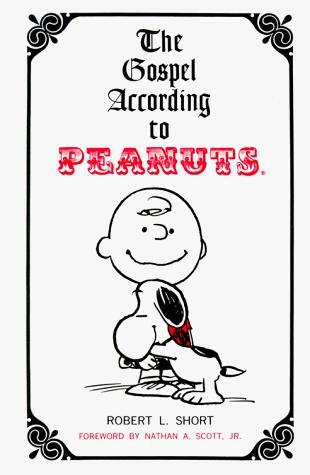 The Gospel According to Peanuts was a major factor of my conversion–no joke! I have been thinking for some time that Short’s work is so parallel to what Mockingbird is doing. I am glad you have finally gotten around to reading it. Now you need to read The Complete Peanuts box sets!